Ooredoo Oman is offering its Passport World designed for global holidaymakers and consisting of a voice and data roaming bundle loaded with 2GB of data as well as 30 minutes for incoming, local and home calls for RO15 ($39). “To cater to this influx we want to provide vacationers with a reliable and affordable value-packed roaming product which is worry-free and enhances the customer experience. 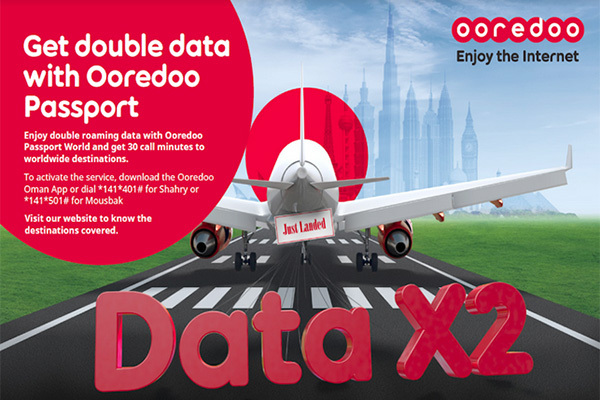 Combined with our strong overseas partnerships, Ooredoo Passport is designed to cater to the needs of Oman’s fliers. We want to make sure that all mobile users’ holidays are memorable and enjoyable with continuous access to high-speed internet when they travel from home to Oman,” he added.